The following are notes taking at the Texas A&M Special Lecture Series hosted by our Kinesiology Department. 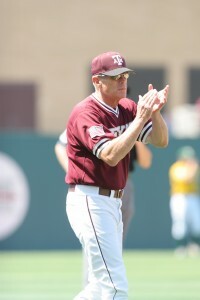 The speaker is Mark Johnson, a Hall of Fame baseball coach that coached the Aggies as well as our Olympic team. The notes were scribed by Kyle Felen, one of our basketball managers that attended the lecture series -- glad to see he is a great note taker. 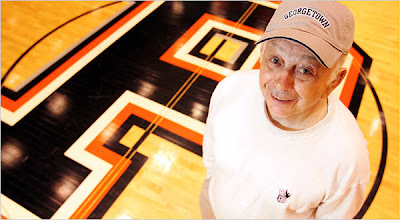 A coach will impact & influence more people in 1 year than most people will in a lifetime. 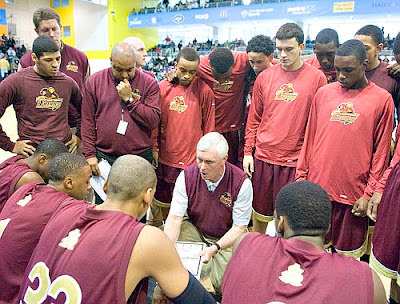 Coaches are held to a higher standard and must have a good influence. As a coach, you have to be able to deal with the critics. Young men & women are helping decide whether you are a success. Handle pressure. If you want your athletes to grow, you have to put them in an uncomfortable situation and make them comfortable, there is no substitution for experience. Have to practice the “inner game” (mental aspect of the game). To be successful: have to find a cause/passion outside of yourself, have the talent to communicate the passion and be persistent. To be successful: hang around good people, hang around good places, and be close to God (have a relationship). Life is about little moments. Little moments will determine big things & you have to be ready for these moments. You need to practice for your moments, as a coach you help your players practice their moments by putting them in an uncomfortable situation and making them comfortable. Figure out what wins & loses mean to you. 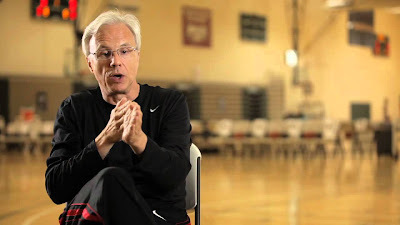 Coaches don’t start out as cheaters, bad seasons can cause coaches to cheat. You have to figure out what your priorities are as a coach and for your program. Winning has to be the thing you are playing for but it’s not the most important thing. Accountability: commitment to the cause, get players committed to the program and their teammates. Play for excellence, no one can define it but you. 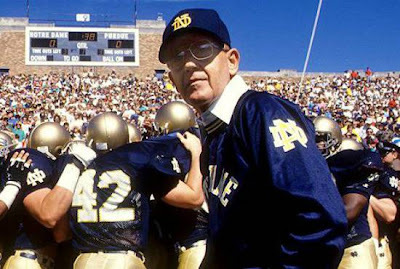 Great coaches are competitive and have a lot of pride. Have superior work ethic, patience & goal setting. Great coaches refuse to be average. GREAT COACHES STAY WITHIN THEMSELVES. Great coaches always learn/improve/ have discipline (of players and of yourself). Coaches never take a day off (mentally/physically/emotionally). Bring enthusiasm & preparation. Even if you have to act it out on certain days. You as a coach have to care about the program and everyone in it. From your most talented player to the least talented. When you care enough, you will be a leader. Develop a positive environment, happiness brings success, build self-esteem, develop self-fulfilling images & encourage positivity. Life isn’t always about getting through the storm, it’s about learning how to dance in the rain. Learn how to have fun in your struggles. 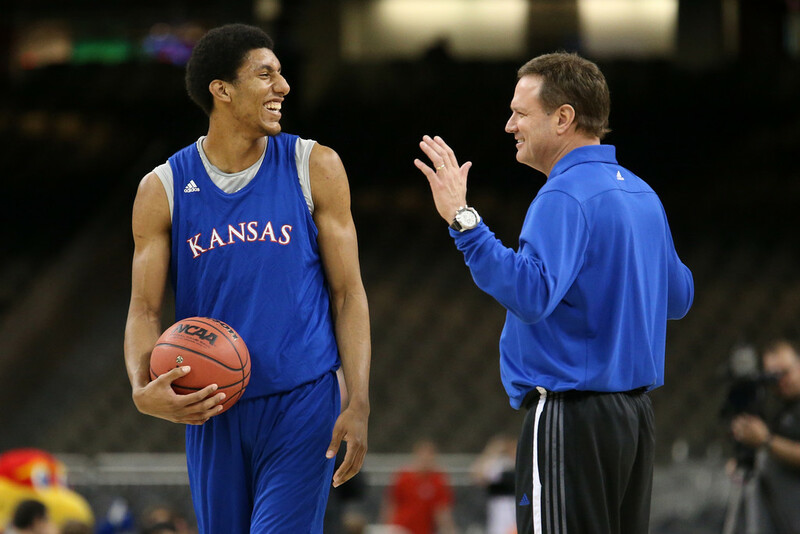 Let your players be in control of their finest moments. 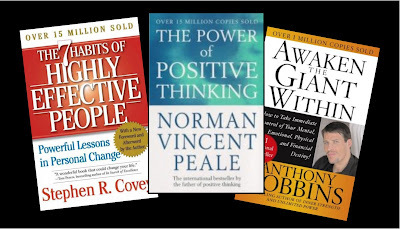 Positivity: a lot more people are better if from praise than negative criticism. Handle adversity well. Have to light the candle, not curse the darkness. Any time you’re moving forward adversity is knocking on your door. The ultimate measure of a man is where he stands in time of conflict & adversity not in convenience & comfort. Very important to encourage team building. Communication: There are no quiet leaders. "The best defensive teams BUY TIME on defense." 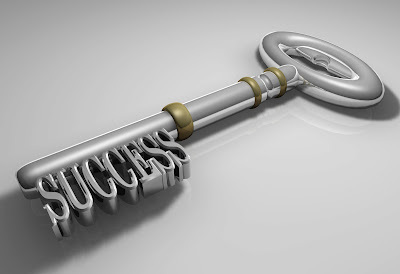 Success is oftentimes wrongly associated with external gains, such as social standing, a high profile, an influential job title, a trophy that proves one team is better than its opponent, or a car that symbolizes wealth. But success is actually something more much more personal, reflecting an internal commitment to specific values, characteristics, and beliefs. Success comes from helping others, from being the best you can be through fair and considerate participation, from a commitment to honesty and integrity, and from giving everything you have to achieving a specific goal. "Those first teams at St. Anthony, I was also working at the post office for a stretch -- and then, for another stretch, in roadway trucking. Whatever I could find, if I could fit it into my days, I jumped at it. I even delivered pizzas for a while -- which mean we ate a lot of end-of-the-night leftover pizza. The one constant in that early part of my career was the work in recreation. The other part-time jobs would come and go, but I always ran those summer leagues." I would love to see this be the lead story on ESPN or the main story on the front page of USAToday. But since it isn't, I'm counting on all of you to pass it around. This is exactly what a role model should be to our student-athletes. Not that every athlete has to end their career to save a life -- but the sacrifice made for another -- this is a servant attitude at it's best. The following is written by Christina Ng of Good Morning America. PLEASE click here to read the entire article and watch the video that ran on ABC. 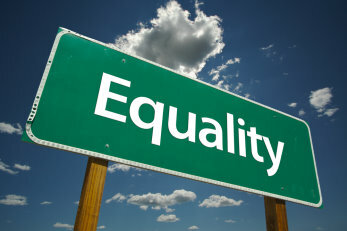 Equality is a worthy ideal pursued in the name of justice and human rights. In the real world of results, however, things are never equal. Understanding this is the basis of all great decisions. When everything feels urgent and important, everything seems equal. We become active and busy, but this doesn't actually move us any closer to success. Activity is often unrelated to productivity, and busyness rarely takes care of business. As Henry David Thoreau said, "It's not enough to be busy, so are the ants. The question is, what are we busy about?" "The things which are most important don't always scream the loudest." While to-dos serves as a useful collection of our best intentions, they also tyrannize us with trivial, unimportant stuff that we feel obligated to get done -- because it's on our list. Achievers operate differently. They have an eye for the essential. They pause just long enough to decide what matters and then allow what matters to drive their day. Achievers always work from a clear sense of priority. The following article comes the SI Vault and is written by Jeremy Hellickson, Alex Cobb, Matt Moore, and David Price. It is an outstanding article and you need to find the time to read it all -- especially if you are a baseball coach or fan of baseball. It's a tremendous article for those that work with pitchers. Opposite the clubhouse is a low-slung, flat-roofed building, one side of which is covered in a montage of buzzwords such as STRENGTH and TEAMWORK. This is the Rays' meeting room, their equivalent of a lecture hall. While the major league pitchers are playing office-chair soccer, the minor league pitchers and catchers are getting their daily 9 a.m. tutorial. Yesterday the topic was the importance of holding runners and delivering pitches to the plate in a timely manner. The goal for every pitcher is to let no more than 1.3 seconds elapse between the start of his delivery to the ball's hitting the catcher's mitt. Today's lecture might well be titled, The Importance of the Changeup. The minor leaguers are told that last year Tampa Bay had the lowest ERA (3.19) in the American League in 22 years. No staff in baseball was close to being as good. 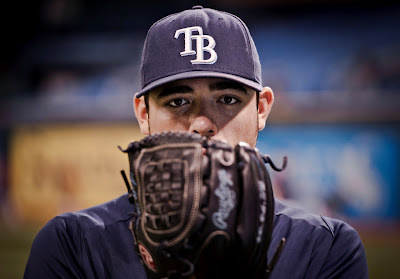 The Rays also held batters to the lowest batting average (.228) in the AL since it adopted the designated hitter 40 years ago, and struck out more batters (1,383) than any team in the league's 112-year history. The changeup, the students are told, is the key to such success. Last year, according to Fangraphs.com, the Rays threw a greater percentage of changeups (18.4) than any team in baseball. (San Diego was next, at 15.5%.) And they did it with the second-best average fastball velocity (92.9 mph, two ticks below the 93.1 average of the Nationals). The lecture lasts about 30 minutes. When it ends, the pitchers walk onto a practice field in brilliant golden sunshine under a morning sky of robin's-egg blue—hues that have been prominent in the Rays' color scheme since 2008, when they ditched the Devil Rays nickname and began one of the most astounding and efficient runs of success in the free-agent era. Tampa Bay has won an average of 91.6 games during the last five seasons, lower than only the Yankees and the Phillies. Two weeks earlier the major league pitchers gathered in the bullpen on this field. They sat on the ground to listen to pitching coach Jim Hickey teach. It would be the first of three lectures Hickey gives annually to promulgate "our core philosophies" on pitching. The subject of the first one, Hickey would say later, is "the most important" of all. Hickey spoke about getting ahead of hitters. It may sound pro forma, but boilerplate has no place in baseball's Silicon Valley. Let the rest of baseball regard the first pitch as the most crucial in getting ahead of hitters. The Rays use the first three pitches to define getting ahead, with the third often the most important. There are 11 possible counts in an at bat. The Rays believe no pitch changes the course of that at bat more than the 1-and-1 delivery. "It's almost a 200-point swing in on-base percentage with one ball and two strikes as opposed to two balls and one strike," Hickey told the pitchers. "Get ahead, and everybody becomes David Price," the team's 2012 Cy Young Award winner. Last year Rays pitchers allowed a .204 OBP after 1-and-2 counts, as opposed to a .363 OBP after 2-and-1 counts. The Rays work the head as much as the body. The holistic approach is guided by manager Joe Maddon, author of the "thought of the day." "The first thing most coaches want to do is change something physical," Maddon says. "Why? Because it's easier than working the mental side. The mental mechanics take more work but provide better results." Tampa Bay likes every pitcher to touch every minor league level and has a strong preference for leaving pitchers with one team throughout a season. Moore, Cobb, Hellickson, Shields, Davis and Jake McGee (now a Rays reliever) all made between 90 and 138 starts in the minors and threw at least 490 innings. "Part of that [approach] is that we are competitive now," Friedman says. "We rely on young players more than most teams, so we try to get them to the point where the learning curve when they get to the big leagues is short. 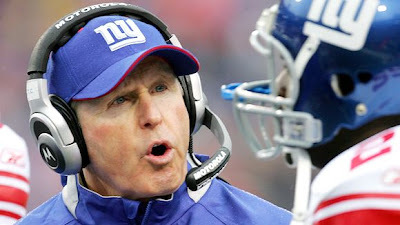 They can help us win games sooner rather than later." 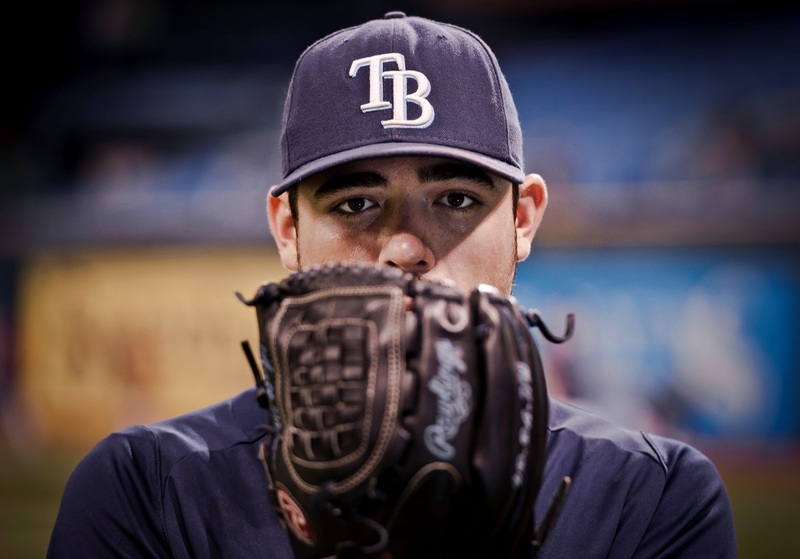 The truth is that the Rays do as much as any club to remove luck from developing pitchers. The campuslike environment of their training camp, the pitchers "willing" pitches to their spots, the analytics and the swivel-chair soccer games—it all defines the culture of the Rays' way. You have to teach your players certain things that they will learn, or not learn, at differing rates of success. And you will have someone who seems to have a terribly difficult time understanding or perfecting what it is you want him to do. But before you give up on that individual, before you stop what it is you're trying to teach him, you have to understand that you're both going to experience a period of failure. There is a tendency today among some coaches to give up too soon. The trend toward specialization is an example of that. You don't have to ask a player to improve overall; you simply assign him a specific task in a system and that's all he has to do. "I don't know if you can be truly tough for all forty minutes of every game. But you can be tough at the most important parts of the game. Not going after a loose ball, or pursuing every ball with both hands. That defines your toughness." Another story about Dr. J comes from John Gabriel, a good friend. "It was in the days before charter flights," Gabriel told me. "The team got up the next morning after winning the 1983 NBA championship, and the players board the hotel minivan for the drive to the airport. Julius got aboard and sat in the first available seat, putting his arm around the twenty-three-year-old video coordinator next to him. 'Gabe,' Doc said, 'you did a fantastic job this season!' That young video coordinator was me. Doc's words of encouragement have stayed with me all these years. I've never forgotten his kindness." Setting tough rules is also a good way of finding out quickly who is committed to the program and who isn't, who's going to buy into our philosophy and be willing to pay the price and who wants out, who is in the trenches with us when it gets tough and who isn't. The purpose of setting rules isn't to catch people and punish them but rather to find those people who are willing to make a commitment to the team and their teammates. Often we will point out athletes in the spotlight to utilize as role models. It may be another college player -- possibly an NBA player -- even a professional athlete from another sport. But no where are there better role models for us as coaches, athletes and human beings to model after than a volunteer fireman. I actually had the privilege to coach one -- LeeAnn Parsley -- while I coached at Marshall University. I was first introduced to her dedication when our team was conditioning on the track at 6 AM. A warning siren from the local fire department went off and LeeAnn shot off the track and to the department. Judy Southard, the head coach at Marshall, told me that she and LeeAnn had came to an agreement because it meant so much to her. 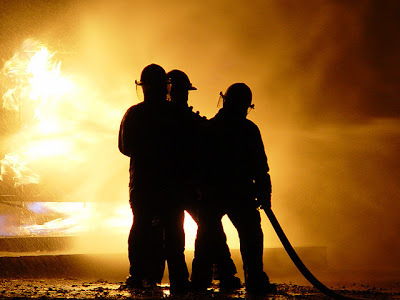 With the tragedy last night at West, Texas, as well as the one in Boston, I am again reminded that no where are there better role models than a volunteer fireman and first responders. The put their lives on the line to save ours! Here are some excerpts of an article that was posted on CNN.com, written by Holly Yan. I deplore you to please click here and read the entire article. The blast was so catastrophic, it destroyed Marty Marak's home, killed his dog and leveled houses for blocks around. But he had no time for panic or grief. Marak darted right toward the danger, even as the threat of a second explosion loomed. Like the rest of the firefighters in the town of West, Texas, population 2,800, Marak is a volunteer firefighter. He doesn't get paid to battle flames or save lives; he actually runs a heating and air conditioning company. But he risks his life just to help his tight-knit central Texas city. On Wednesday night, the valor of the volunteers was put to the ultimate test. Firefighters were already battling an enormous blaze at West Fertilizer Co. when an earth-shaking explosion blasted windows and walls off homes. Rolling fireballs leaped into the sky, and residents 50 miles away felt the force of the blast. West Mayor Tommy Muska, also a volunteer firefighter, said "it was a like a nuclear bomb went off." The explosion devastated Marak's family. "It demolished both the houses there, mine and my mom's, and it killed my dog," Marak's wife, Cheryl, told CNN's Piers Morgan. But Marty Marak took off, trying to extinguish the blaze before it could trigger a second explosion at a nearby fertilizer tank at any moment. A flood of other volunteers also scrambled to the scene, including firefighters and emergency medical personnel from hundreds of miles away, the Texas Department of Public Safety said. With her house annihilated, Cheryl Marak took cover in her brother's home, about two miles away from town. For hours, she wondered if her husband was still OK.
"For all those people who are still there ... responders that remain ... you just worry about everybody," she said, her voice cracking. Finally, shortly before midnight, Cheryl Marak was able to speak with her husband and hear he was OK.
"I'm begging him to come home, to let me come and get him ... but he said he can't. He's going to stay with his guys," Cheryl said. So the excruciating wait continued. Rep. Bill Flores, whose district represents the town of West, said the courage of Marak in the face of loss isn't uncommon. "That's just the way that we Texans are wired," he said. "Even though we face our own personal tragedies from time to time, we still know that we have to go help others -- and then assess our own tragedies later on." The following comes from Mike Neighbor's most recent newsletter -- simply one of the best things out there for coaches wanted to learn their craft. This particular post comes from notes used by Mike when he spoke at the Canadian Super Conference on Skill Development -- it's really good stuff! Throughout the clinic today, I will reference two actual situations from last season’s skill development sessions as we were transitioning from Xavier University to the University of Washington. Regina Rogers will be our example for post players. Jaz Davis will be our example for perimeter players. 1) You must have core skills in place and mastered to reach the next level but not why you think. - when do you do your best thinking? 2) We try to be 5% better at 10 things rather than being THE BEST at one thing. - choose wisely and focus. You will get what you tolerate. 3) Spend 80% of our time on the most important 20%. - Pete Carril "Be good at things you have to do a lot"
4) Activity is often mistaken for productivity. 6) HARD WORK is the most over evaluated attribute in skill development. 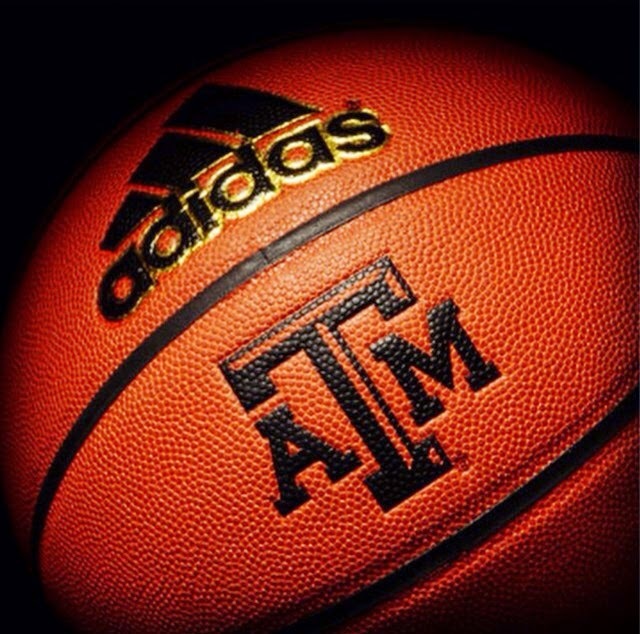 7) A talented player is often mistaken for a player with good practice habits. 10) 7 Laws of Learning all mention a "willing participant as a LAW"
Persistence is, in my mind, the quality that is most critical to success and happiness. Nothing takes the place of persistence. Talent won’t; nothing is more common than unsuccessful men with talent. Genius won’t do it; unrewarded genius is almost a proverb. Education will not; the world is full of educated derelicts. Persistence alone is omnipotent. Everybody of my generation knows that Babe Ruth hit 714 home runs. I am one of the few who also know that he struck out more than thirteen hundred times. I wasn’t going to give up on Beth until she ran me off with a stick, because I knew that the key to any successful relationship was persistence." Alan Stein is one of my heroes! I love people that are first, passionate about what they do, and then secondly, share with others. As Coach Don Meyer would say, discover your gift, develop your gift and then give it away. Great players... run the floor as fast as possible on fast breaks AND defensive transition. Great players... contest all shots. They don't go for ball fakes or shot fakes. They deflect passes, bump cutters, and take charges. Great players... practice just as hard as they play in games. They don't have an 'on and off switch' - they are ALWAYS on! Great players... 'Play Present.' They focus on the process, not the outcome. They focus on what they can control. They don't get distracted. Great players… are top-notch communicators. They talk with a presence on both ends of the floor. Ohio State assistant Jeff Boals posted this on his twitter last night and I wanted to run a portion of it on our blog today because I have long believed in the value of student-managers. I've been blessed to have been associated with some amazing young women and men that have made huge sacrifices behind the scenes to make our program successful. 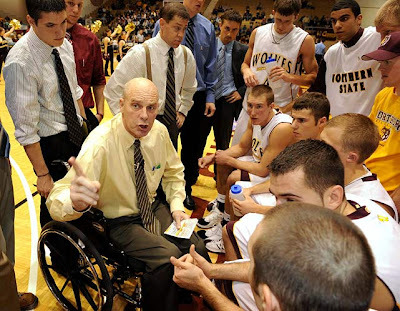 I remember having a conversation many years ago with former LSU Coach Dale Brown about some of our great managers and he made a profound statement: "If I owned a company and wanted to hire competent, self-motivated young people with great work ethics, I'd hire basketball managers." The following comes an article written by Jon Shields for The Lantern. 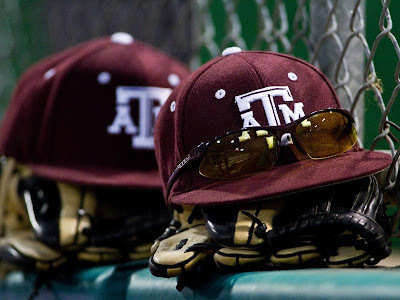 You can read the entire article here -- but I wanted to post a few excerpts in honor of all the managers on all levels that make sure a huge difference in our programs. Please click and read the entire article -- it's worth it! While the actual team wins the games and earns the headlines, the staff supporting the team is happy to sit behind the bench on game days, out of the spotlight. They’re OK with the idea that the outside world has no clue how important they were to coach Thad Matta and his teams’ preparations for victory. Their contributions are noticed by those who pay attention though. A typical OSU student gets up, goes to class, maybe goes to work afterward and then juggles homework with a social life. The managers have those same obligations, but in addition to their school obligations, they deal with between 35 and 40 hours a week of unpaid work for basketball activities. They show up for 10 a.m. practice an hour before to set up. They stay two hours after to rebound for players who want to get extra shots up or to run errands for coaches. It can end up being a five-hour shift. On game days, they’re there for the pre-game shootaround five hours before tip-off and will stay at the arena for the next eight hours, through the pre-game team meal and the game itself. 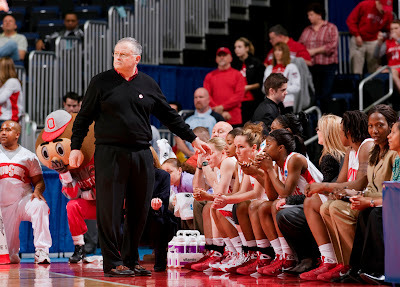 During the games, they take advanced stats for the coaches, set up chairs on the court for the team during timeouts and manage Matta’s play-calling whiteboard. 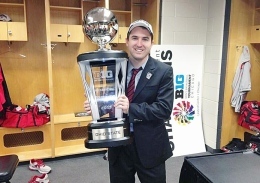 The man in charge of the managers is David Egelhoff, director of basketball operations. He’s been on the OSU staff for 10 years and in his current position for seven. 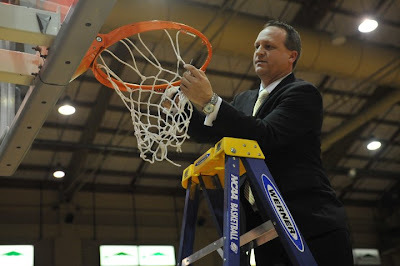 In addition to handling the day-to-day, off-court activities of the basketball team, he handles the application and hiring process of the team’s managers and serves as their boss. It’s a position his past has qualified him for. 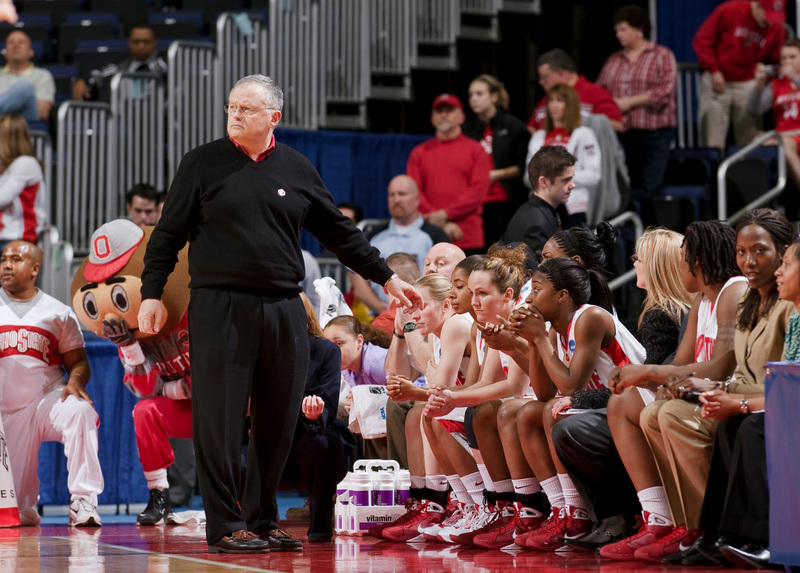 Egelhoff served as a student manager for OSU’s basketball team from 1998 to 2002 under former OSU coach Jim O’Brien. He said his times as a manager make up some of his favorite college memories. The sheer quantity of time the managers spend with each other has allowed them to form a special bond. Geoffrey James of INC.com recently developed a list of his All-Time top 9 motivational books. It's a well-written article in which Matthews includes his favorite quote from each which I have listed below. To read the entire article, click here. How many of these books have you read? Best quote: "The unvarnished truth is that almost all the people you meet feel themselves superior to you in some way, and a sure way to their hearts is to let them realize in some subtle way that you recognize their importance, and recognize it sincerely." Best quote: "I will live this day as if it is my last. This day is all I have and these hours are now my eternity. I greet this sunrise with cries of joy as a prisoner who is reprieved from death. I lift mine arms with thanks for this priceless gift of a new day." Best quote: "Stress is nothing more than a socially acceptable form of mental illness." Best quote: "For artists, scientists, inventors, schoolchildren, and the rest of us, intrinsic motivation--the drive to do something because it is interesting, challenging, and absorbing --is essential for high levels of creativity." Best quote: "Action is a great restorer and builder of confidence. Inaction is not only the result, but the cause, of fear. Perhaps the action you take will be successful; perhaps different action or adjustments will have to follow. But any action is better than no action at all." 1. Somewhere in our life we must meet someone who expects greatness from us. 2. Humility precedes honor -- God's job is to exalt us and it's our job to humble ourselves. 3. You don't want to exchange jobs with God. James 1:13 -- humility from wisdom. 4. The price of greatness is responsibility. 5. Good is the enemy of great. We have met the enemy and he is us. 6. There is not test as tough as the test of time. Post players must have mentality that it is good to be hit...don't fade...greet the contact -- neutralize it. Coach Foster likes to make a lot of visual references to his players and team. Coach Foster: "Don't assume they understand." 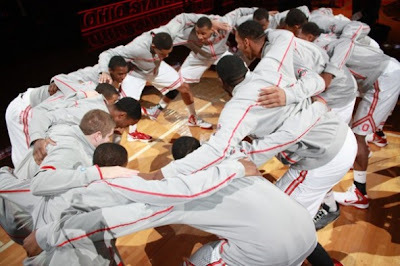 OSU teaches inside foot to baseline as the pivot foot...believe this benefits cutting. Coach Foster will have 1 post player work with the a group of guard during individual work for the benefit of improving footwork...OSU does individual work for about 15 minutes in the middle of practice. Coach Foster: "The 15 foot, high post jump shot is our best shot. We practice it and we value it. It's a big part of our game. Kids understand 15 foot jumpers." Baby Hook is a "big deal" at OSU...want hip facing baseline with toe pointing tot he sideline for proper release...also good position to set up the Up and Under Move. Will drill shooting Baby Hooks without jumping...concentrate on body positioning, release point and touches...no jumping...make 10 each side and then 10 from the middle facing both sides. Coach Foster might come out on November 3 and say, "Let's get read for Purdue" to create some intensity and focus for the practice. Coach Foster: "You can't wait until the morning of the Tennessee game to get ready to win." If team is not focusing well in practice, Coach Foster might say something like "We're not preparing to play Ohio University at home -- we getting ready to play Purdue on the road." Teaching progression is important -- commit to footwork. Coach Foster emphasizes that all his drills "back into each other" -- there is carryover into all of them with regard to his philosophy. Coach Foster likes to use "timeouts" for breaks in practice...players must sprint to the bench...there they can sit and get a drink...he may talk to them during the break or may not. In February when he wants to go short, Coach Foster will tell his team: "I need to get a good hour of practice out of you today. We can that in an hour or two and half hours -- it's up to you." Rebounding: Coach Foster wants to make contact on blockout...a great rebounder can then release for the rebound...a non-rebounder needs to maintain contact (don't let your man get the rebound). Coach Foster: "The best players play slowly then their quick." Coach Foster: "Great players make the game easy." Coach Foster: "From October to April the team improves -- from May to October the individual improves." 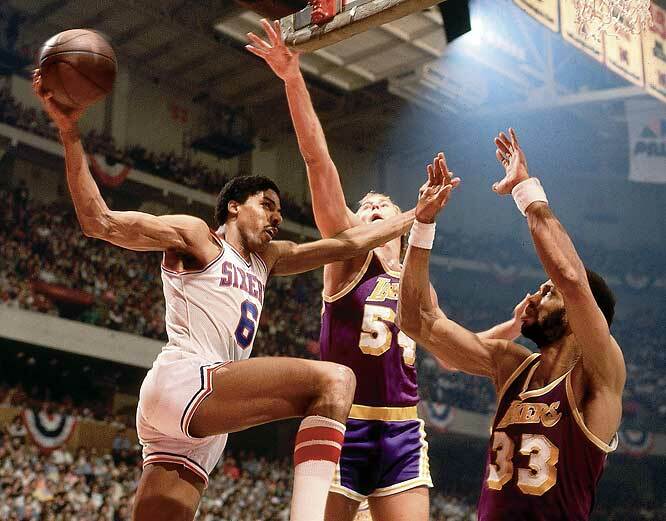 Foster on working on your shot: "Don't shoot for the sake of shooting, shoot for the sake of competing." The champion athlete does not simply do more of the same drills and sets as other swimmers; he or she also does things better. That’s what counts. Very small differences, consistently practiced, will produce results. In swimming it could be doing all turns legally, or swimming one extra set of repeats after practice every day, or wearing gloves on your hands to keep them warm at a meet. American historian John Morton Blum reportedly has said that to be successful a writer need produce only three pages a day---every single day. Often the trick is doing little things (like good turns) correctly, all the time, every time. 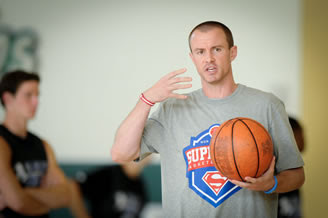 Championship training consists of doing more and more of these little things---and they are, finally, innumerable---each one consistently, so that each one produces a result. The results of such quality training inevitable add up. 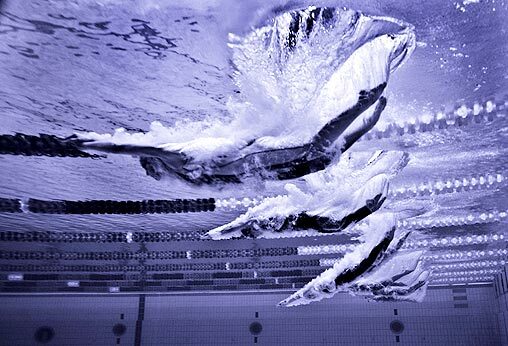 Swimming is swimming, we can say---in practice, or in meets, it’s all the same. If you swim sloppily 364 days a year, nothing great is going to happen on the day of that one big meet, no matter how excited you get. Nowadays top-level swimmers tend to treat workouts as meets, where every swim counts; they have to win each repeat, always do great starts and turns. Steve Lundquist, for example, decided early in his career to try to win every swim in every practice, and eventually he did that. Many Mission Viejo swimmers took time every day to psych up for workouts, which they treated as intense competitions. It was not uncommon to see swimmers at Mission Viejo swimming within seconds of their lifetime bests in practices, going all out every day. When they eventually got to a meet, there was nothing new to be overcome, and the conclusion was all but foregone: for all the closeness of the times at Nationals, the same people often do win, year after year. 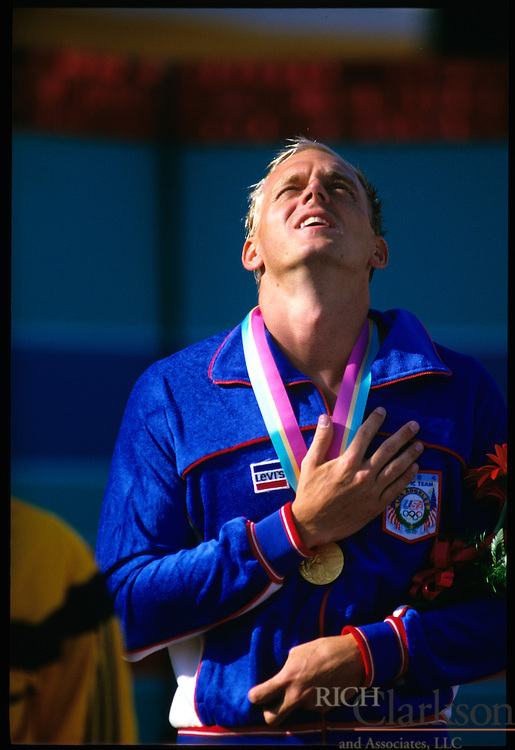 When Rowdy Gaines studied the starter in the Olympic Games, that was not a new “trick” he invented that day. He always checked the starter, as do many swimmers, because he knows that sometimes it makes a difference. He wasn’t “cheating” to win that day. He was simply attending to details that other people didn’t, and he had the good luck that the officials didn’t recall the start. Mike Heath and Mark Stockwell and the five other swimmers in that race could have anticipated the gun, too, perhaps with good results, but they didn’t. Gaines did. Our usual view of champions tells us the opposite. We think they are special people, larger than life: unusually good-looking, successful, happy all the time, patriotic, and self-confident. Failures don’t get much TV coverage. For the sake of drama, reasonably enough, storytellers enhance some part of the story and downplay others. And we think reasonably: My God, this guy is nothing like me, I could never do what he does. But there is no magic that separates Olympians from everyday people, despite the fact that the title suggests Greek gods. No one is born to make the Olympic finals; potential doesn’t win a gold medal. Doing it is the only thing that counts. The truth is simple: Most swimmers choose every day not to do the little things. They choose, in effect, not to win. They say, “I could do this workout if I wanted to,” or “I could have rolled with the start,” or “I would have won if I had been healthy.” In some sense, everyone “could” win in the Olympic Games, but “could” doesn’t count. The gold medal is reserved for those who do. The doing---this alone makes champions different. The excitement they feel comes from the raw physical and emotional reality they face every morning as they swim six miles, paying attention to all the details. Certainly the Olympic Games represent a rare opportunity to demonstrate publicly one’s heroic capabilities. But champions do not wait four years to find their heroic opportunities; they create those opportunities, every day. "I WANT TO STAY WITH MY BOYS"
COACH K AND THE WORD "TOGETHER"